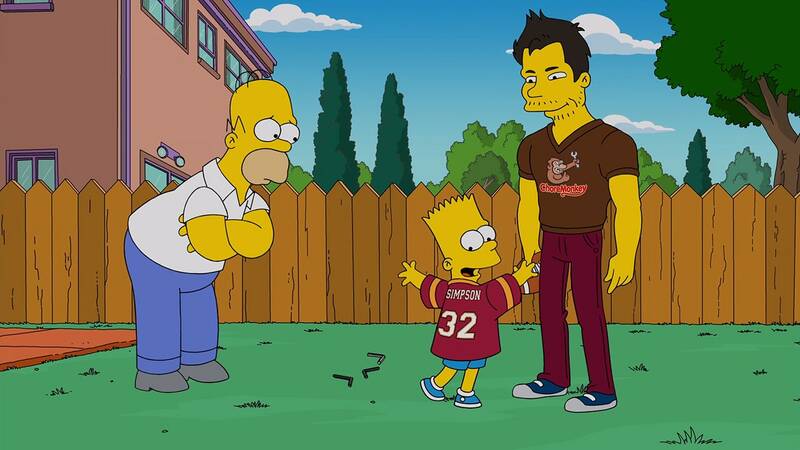 If you can’t believe Matt Leinart is guest starring on "The Simpsons", well, neither can he. Leinart, now 33 and more than a decade removed from his time as the Heisman-winning quarterback of the USC Trojans, says he’s watched the show for the past 20 years and never imagined he’d be sharing screen time with Bart Simpson. But there he is on this week’s episode "Dad Behavior", in which Homer finds a new app that makes his life much easier and outsources his father-son bonding. Leinart, a dad himself, says the experience was a blast and loved getting to poke fun at himself. He joins the likes of Troy Aikman, Dan Marino and Joe Namath as QBs to guest star on the show. "The Simpsons" airs Sunday at 8 p.m. ET/PT on FOX.